A fascinating account of the ships on which Swami Vivekananda sailed between 1893 and 1900. To devotees of Swami Vivekananda, all information about him is treasured. Through this unusual book, we can visualize the backdrops for many of Swamiji’s letters, writings, and conversations aboard ship. For example: It was aboard the Empress of India that Swami Vivekananda met and spoke with Jamsetji Tata, a conversation that led to the founding of the Indian Institute of Science. 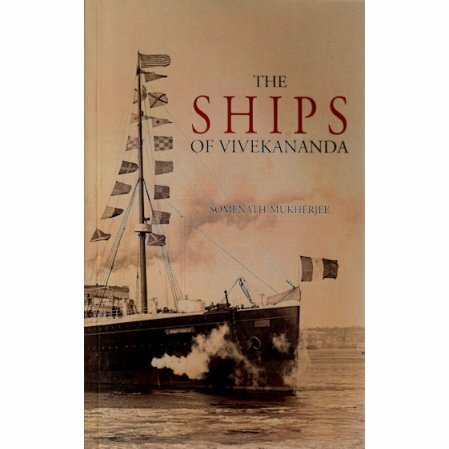 Somenath Mukherjee has given a detailed history of each of the eleven ships that carried Swami Vivekananda over the seas between 1893 and 1900. In addition the author has woven into the narrative of these ships the life of Swami Vivekananda between sailings, including letters he wrote, incidents that took place, and the work he did in spreading the message of Vedanta.